Between the years 1989 and 1998, Jerry Seinfeld and Larry David collaborated to create what will forever go down as one of the greatest television shows in history. Entirely defying the status quo and expanding on subjects that other sitcoms wouldn’t touch with a ten foot poll, Seinfeld was a truly revolutionary series that did its part to significantly change pop culture forever and make us cry in hysterics on a weekly basis for nearly a full decade. Arguably, the secret to the show’s success was its seemingly endless number of ridiculous and fantastic characters - but it’s also long been debated exactly which characters on the show are the true cream of the crop. We’re here to settle that argument. Similar to what we’ve done for shows like Family Guy and The Big Bang Theory, we’ve looked back on the history of Seinfeld and all of the characters who made multiple appearances on the show (not counting the cameo-filled finale), and determined a Top 20 ranking. Who filled in all the big spots? Read on to find out! 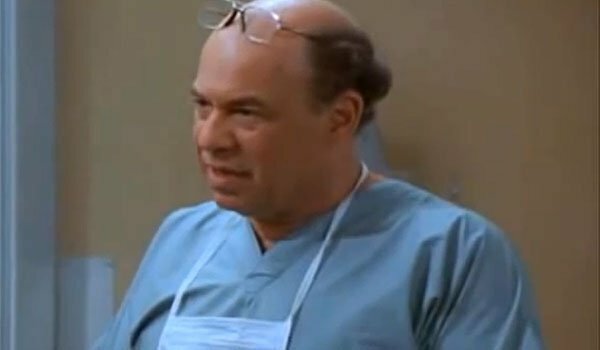 There were many, many strange characters that populated the world of Seinfeld over the course of the show’s nine seasons, but the doctor played by Victor Raider-Wexler certainly had to be one of the oddest. As though he were following the lives of the series’ four protagonists from afar, he popped up at multiple coincidental moments over the course of the show – including the death of Susan, the Junior Mint incident and the end of the Summer of George – but brought with him his own kind of weird, muted soap opera-type charisma that heightened the comedy in what might otherwise be dramatic scenes. It’s perhaps a shame that he never ended up with Elaine, as perhaps he could have been the doctor she spent years looking for. I think we can all relate to the idea of having someone in our lives who has always been living on easy street, and make you feel like your own personal accomplishments are meaningless. 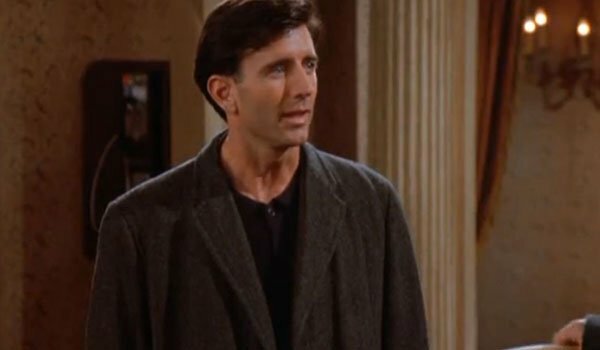 For George Costanza, this haunting personality is Lloyd Braun – a great Seinfeld character who weirdly undergoes one of the most significant changes in the history of the show (no, I’m not talking about the recasting of Peter Keleghan with Matt McCoy). The guy is introduced as being on top of the world, working by the side of Mayor Dinkins, but is ultimately brought down to the level of the series leads by experiencing a complete mental breakdown. It’s arguably actually one of the most tragic arcs featured in Seinfeld, but it’s also a key and rather hilarious one in retrospect. 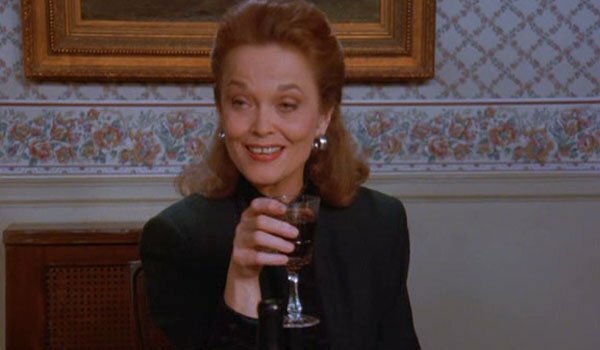 Some may say it’s easy to get a laugh using a perpetually drunk character, but Mrs. Ross from Seinfeld really is special. Though she was never actually given a first name over the course of her time on the show, she represented pretty much everything that’s awful/darkly hilarious about wealthy WASP marriages – from her constant drinking, to just sweeping the secret about her husband’s homosexual relationship with John Cheever under the proverbial rug. She was also one of the few on the show who could really get under George Costanza’s skin and truly make him more miserable than her already is. That takes real talent, and actress Grace Zabriskie’s long-running performance deserves a Top 20 spot just for that alone. 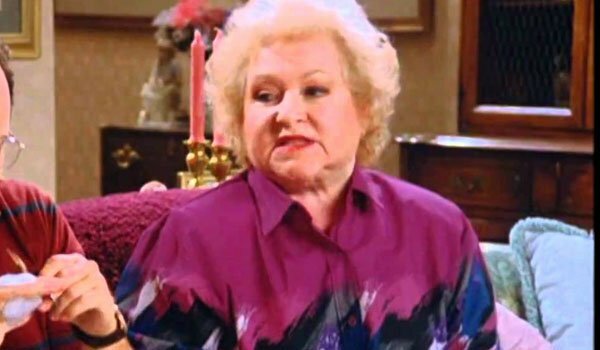 While Jerry’s parents, Helen and Morty, never necessarily stood out as being the funniest characters on Seinfeld, there is attention due on this Top 20 list to their Florida neighbor Jack Klompus – one of Jerry’s great nemeses and one of the slimiest characters on the show. From the incident with the astronaut pen to the drama with the Cadillac to the issue with the beltless trenchcoats, Jack was always a good character to serve as a stick being jammed into the gears of a solid plan, and the conflicts experience between Jerry brought us some of the series’ best parent-related storylines. Jack is a self-serving, smarmy, back-stabbers his entire time on the show, and we love him because of it. On Seinfeld, we really got to see two sides to the Estelle Constanza character. One side was cute, sweet and nice – though this really only came out during her limited time hanging around Kramer. The rest of her time on the show painted her as a shrill and endlessly screaming and whining… and we loved every single minute of it. The casting of Estelle Harris for George’s mother remains one of the most inspired elements of the series, and the actress contributed in big ways not only to just random bits, but also some of the show’s most iconic scenes. Who could forget her lying beside George in a hospital bed during The Contest? One could make the argument that all the main characters in Seinfeld could be locked up for being sociopathic loons, but Crazy Joe Davola was the only individual on the show who was legitimately crazy – and it resulted in some fantastic material. His connection to Pagliacci The Clown and his relationship with Elaine led to what could honestly be called some of the best real tension in the series’ history, and he was a completely different kind of antagonist for Jerry to go up against (both in that he couldn’t be defused by wit and was good enough at karate to kick a dent into a motorcycle helmet). We never really learned what his fate was, but presumably he wound up sitting in a padded room wearing a straight-jacket after his “Sic Semper Tyrannis” incident. 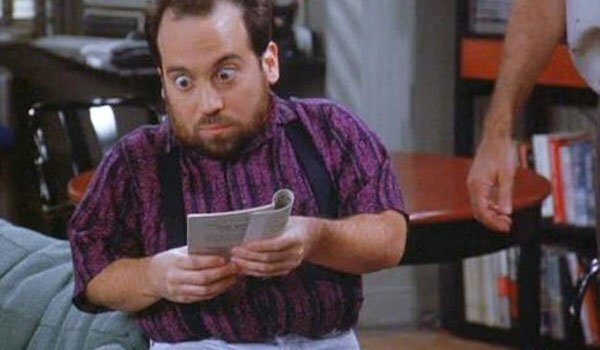 Given how popular Kramer became over the course of Seinfeld’s run, it’s easily to imagine that any actor would be intimidated to be paired up with him for an extended narrative, but few performers on the show did it better than Danny Woodburn in his portrayal of Mickey Abbot. 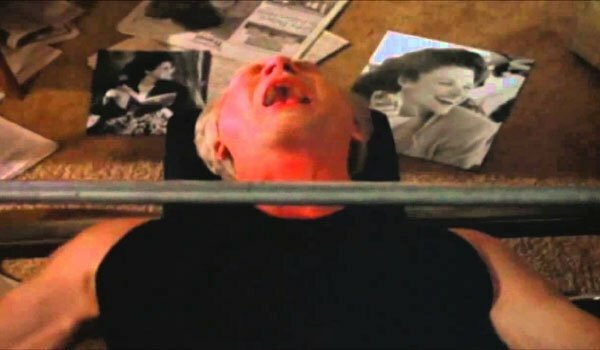 Armed with a short fuse and small stature, Mickey was a perfect contrast to the lanky, goofy Kramer, and the physicality between the two characters was genius – with the former never failing to physically overpower the latter. The duo got in a number of scrapes over the course of multiple seasons, including situations involving lifts, a mall Santa gig, and disease performances, and each one was as memorable as the last. 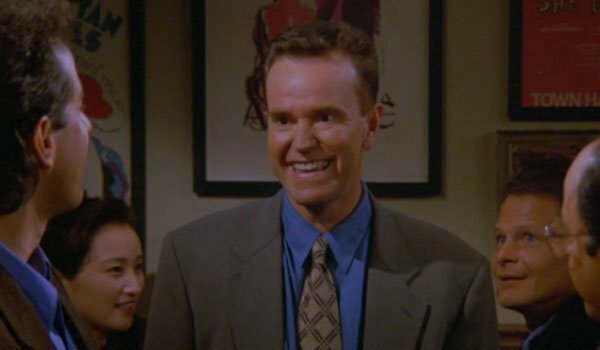 While Bryan Cranston would eventually go on to do great things as Hal on Malcolm In The Middle and as Walter White on Breaking Bad, some of his greatest early work came playing Dr. Tim Whatley on Seinfeld, as the show gave him some really fantastic opportunities. Though he only appeared in five episodes of the series, he was memorable in every single one, be it ruining John Voigt’s pencil, re-gifting a label maker, or converting to Judaism just for the jokes. 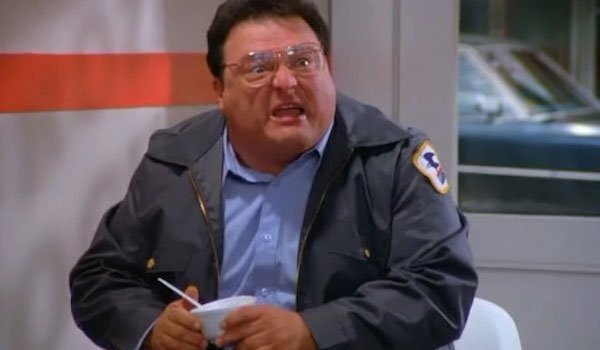 He also remains at the center of one of the show’s greatest mysteries, and it’s still puzzling why anyone would give a pair of Super Bowl tickets to their mailman – especially if he were as evil as Newman. 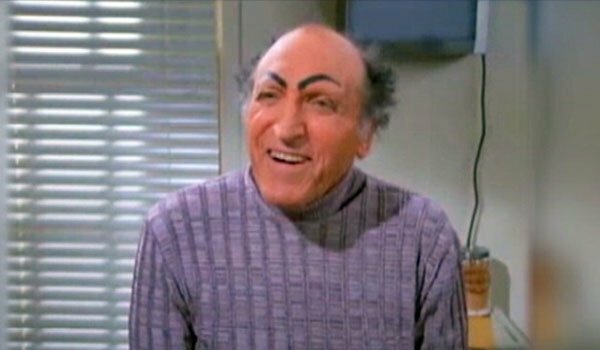 Uncle Leo wasn’t the most terribly complicated character in the population of Seinfeld regulars, introduced as a relative who loves to tug on elbows and endlessly praise his own offspring, but the show was able to further enhance and develop those annoying habits over the course of multiple seasons and created one of the best recurring roles. 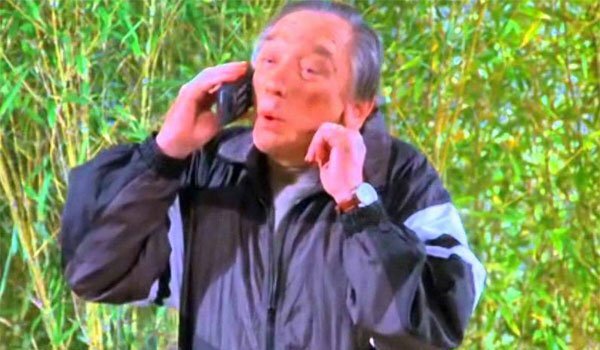 From his always enthusiastic “Hello!” when running into Jerry on the street to his constant complaining about not receiving regular phone calls from his nephew, Leo was the perfect relative that you love to hate, and Len Lesser – may he rest in peace – will forever be remembered for the funny and iconic role. Every great hero needs a great villain, and Newman was very much the Lex Luthor to Jerry’s Superman. Though the origins of their antagonistic relationship were never revealed on the show, it’s not hard to figure out what went wrong – after all, Newman is pure evil, and Jerry clearly recognized that. But it wasn’t just his relationship with the titular character that made him great. His pairings with Kramer resulted in some of the most hilarious narratives, including the record store incident, the rickshaw plan (“Wa-ha-ha!”), and TV’s most epic game of Risk. Wayne Knight played Newman with the absolutely perfect level of smarmy-ness and Shakespearian-level villainy, and it was some of the best stuff sitcom television has ever seen. Larry David is best known for his collaboration with Jerry Seinfeld behind the scenes and developing scripts for the show, but the man deserves just as much love for bringing to life one of the series’ best characters. 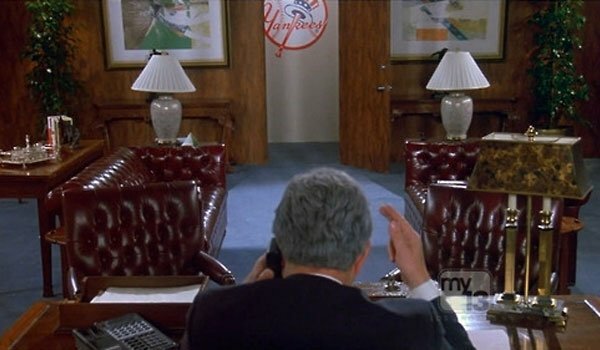 Over the course of George Costanza’s time with the Yankees, we never actually got to see George Steinbrenner’s face, but that didn’t slow him down in crafting some of the most hilarious bits of incoherent rambling you’ve ever heard. Whether he was advising George about the benefits of hot tubs or raving about access to Cuban baseball players, the Yankee owner never had a flat moment in the series. And as a bonus, to this day I can’t hear Pat Benatar’s “Heartbreaker” without immediately thinking of Steinbrenner’s rendition. 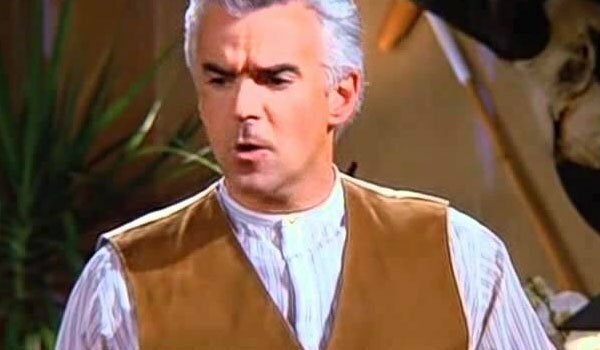 I’ll admit that it’s a bit strange that two of Seinfelds most significant “boss” characters would wind up back-to-back on this list, but it would have been a crime not to have Jacopo “J.” Peterman in the Top 10. John O’Hurley’s booming, boisterous voice delivered a unique adventurer/blowhard element to the catalog owner that has not been matched since and never will be, and it’s easy to imagine it being both thrilling and torture to hang out with him for an extended period of time. And while he was primarily an Elaine-centric figure, the show did a great job getting him involved with the other members of the central four, whether he was buying Kramer’s stories or bringing George along to meet his dying mother. 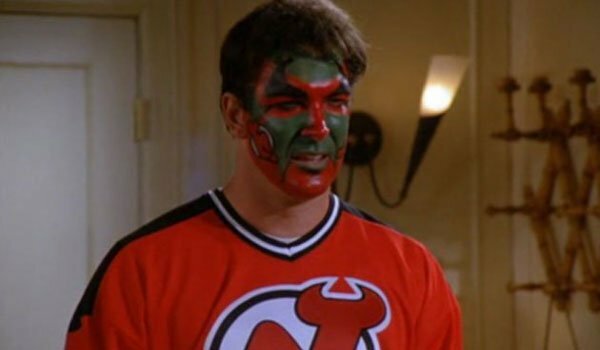 Through nine seasons, the main characters of Seinfeld found themselves in romantic relationships with all kinds of weirdos and strange personalities, but there is no question that Patrick Warburton’s David Puddy is king of the significant others. Though he was introduced to the show as what seemed like a one-off character, an honest mechanic/Elaine’s boyfriend who steals Jerry’s “move,” he was eventually brought back time and time again for iconic moments in later seasons – such as his face painting incident, and the plane ride home from Europe with Elaine and Vegetable Lasagna. He’s dumb as a stump, squints all the time, and has far too much appreciation for the high five, but it’s impossible not to love him. 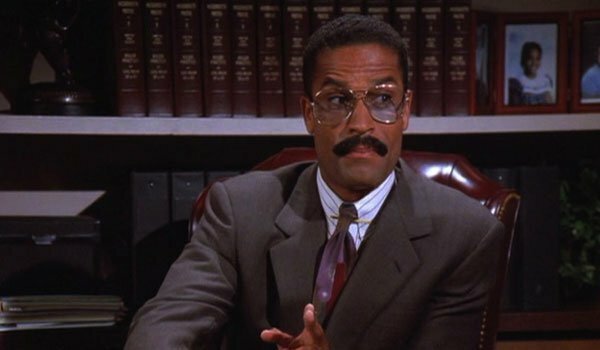 The presence of Jackie Chiles in Seinfeld is an example of how the show reflected the time period it was aired – as the character was clearly a parody of famed attorney Johnnie Cochran – but while it’s been more than 20 years since the O.J. Simpson trial, Jackie remains just as funny today as he did in the 1990s. Capturing the Cochran attitude and spirit was all in the voice, and actor Phil Morris killed every time he was brought back for the show. If I had to pick my favorite case, it would probably have to be his case against the tobacco companies, as his first reaction to seeing Kramer once again in his doorway is priceless and perfect. 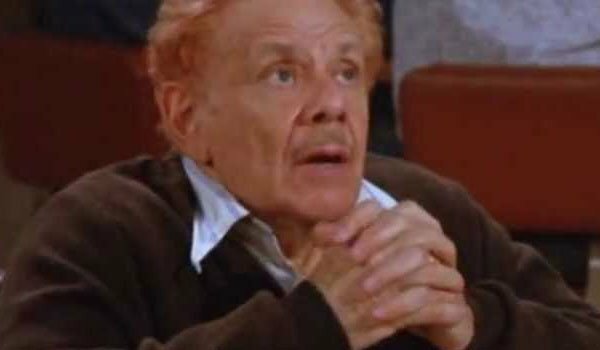 It’s a well-known secret that Frank Constanza’s awkward, halting way of speaking was caused by the fact that Jerry Stiller often struggled to remember all of his lines, but history will paint him as a genius for his highly bizarre but incredibly hysterical approach to playing George’s dad. 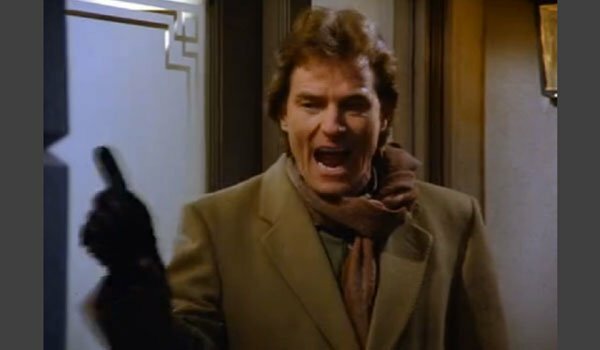 His ridiculous rage made him a great tool for the Seinfeld writers to throw into any kind of situation, and he not only heightened the energy of every scene he was in, but also brought it out of the other characters as well. If you’re looking for some real magic, pay attention to the relationship between Frank and Elaine over the course of the show, as it is easily one of the most underrated in the series. As the self-proclaimed “Even Steven,” Jerry never really had the luck of Kramer or the incredible and regular misfortune of George, but through nine seasons excelled as the perfect anchor to ground all the stories in the same reality and as the obvious lynchpin of the series (it is his name in the title, after all). 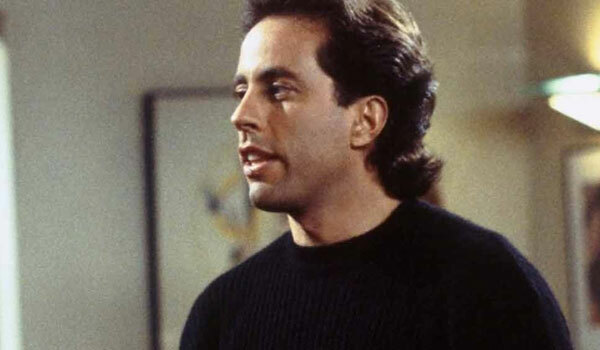 There are few characters in television history who have served as better magnets for crazy people through everyday life, and though he never really cared about anyone or anything, his serial dating habits kept Seinfeld regularly populated with fresh faces and bizarre relationships. While he may not necessarily be the “best” character on the show (as indicated by his #4 ranking), it’s impossible to deny that he is the most important. 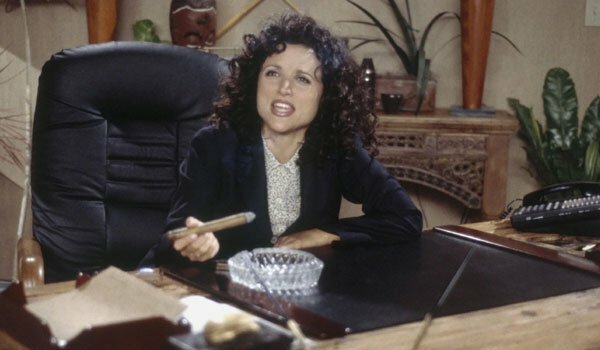 On the surface, Elaine Benes comes across as the most put-together member of Seinfeld’s lead character group – what with her having a decent level of intelligence and the ability to maintain a respectable job – but when you really take a closer look at her you can see the same kind of damage and funny sociopathic tendencies that plague her closest friends as well. Though she is apparently looking for someone to settle down with, she’s just as self-destructive in relationships as Jerry (while bringing a completely new color that comes with being a female character) and equally finds herself lost in ridiculous and frenzied situations of her own selfish creation, be it buying Jujyfruits before an emergency hospital visit or simultaneously trying to prove herself as the world’s best and worst babysitter. Julia Louis-Dreyfus’ performance may be the most underrated on the show, but I’m doing my best to correct that mistake by giving her the number three spot on this list. 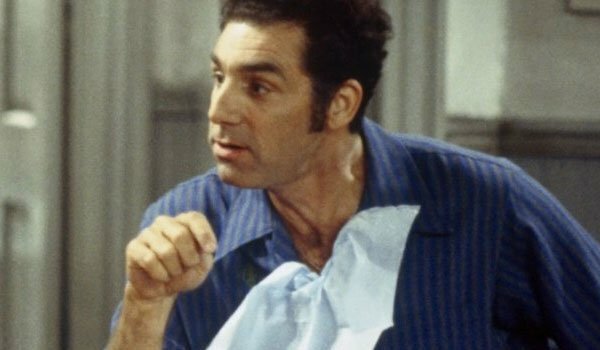 There are many elements that contribute to Cosmo Kramer coming together as one of the most genius television characters we’ve ever seen. The way he freely mooched off of Jerry was unprecedented and ridiculous; his off-beat and inventive mind led him to straight into some of the weirdest stories the show ever portrayed; and his kooky mannerisms and jerky motions made him effortlessly and eternally unpredictable. All and all, however, what it really comes down to is the physical comedy genius of Michael Richards. From his casual slide into Jerry’s apartment to stunts like chugging a beer and smoking a cigarette at the same time, Kramer helped us all realize the bizarre lengths that the human body can be stretched, and to this day is still a marvel to watch in reruns. 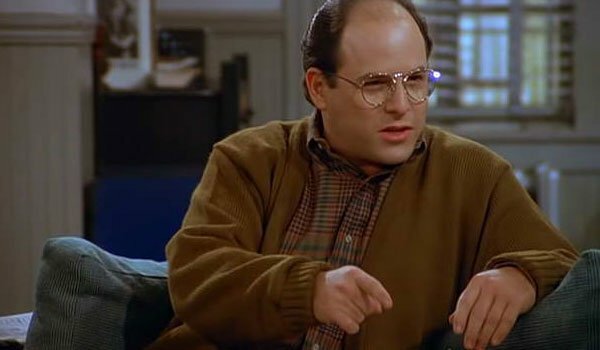 It can be said without any hesitation at all that Jason Alexander’s George Costanza is one of the greatest characters – if not the greatest character - ever to grace a television screen. He’s basically a perfect representation of pure Id – using every lie and trick he has in his playbook to try and get what he wants – but that personality is tied to a fate that ensures that he will never find happiness or success. As a result, George is little more than walking, talking organized chaos, and it’s never not hilarious to watch him constantly work to squirm out of every horrible situation he himself put him in. It’s really impossible to single out the greatest George moment of the show – from his time as The Opposite, to his selection of the famous poison wedding invitations – but one thing that is very easy to declare is that he is the greatest Seinfeld character ever. Who Is The Greatest Seinfeld Character?